Understanding insurance policies can be a challenge. There are countless insurance terms and phrases that are difficult to decipher and have complex meaning, and insurance deductibles are on the top of the list. A deductible is one of the most commonly misunderstood aspects of insurance policies. It is a term that most people know about, but many do not fully understand how it impacts their policy and what it means for them if they file an insurance claim. Insurance deductibles are an element that is included in your policy, outlining the amount of money you will personally be required to pay before your insurance provider covers the rest in the event of a claim. The only time you will have to pay a deductible is when you file an insurance claim. Your deductible amount will vary based on your insurance policy. When purchasing an insurance policy, you will have the opportunity to choose your deductible amount. In most cases, deductibles range from $500 to $5000. Insurance deductibles can have an impact on your insurance rates. As a general rule, the higher the deductible amount you choose, the lower your insurance rates will be. For example, choosing a policy with a $2000 deductible will have lower premium than a policy with a $500 deductible. Why is this case? Higher deductibles reduce the odds of you filing smaller claims. We’ll take a look at insurance deductibles for these common insurance policies. But first, let’s take a look at how deductibles work. What is the purpose of having a deductible? Let’s use an example to illustrate how insurance deductibles work. Let’s say that you have a $500 deductible for your car insurance policy. You get into an accident, file a car insurance claim, and find out there is $5000 worth of damage. 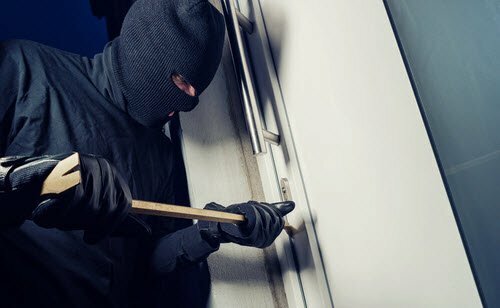 In this scenario, you will pay $500 out of pocket, and your insurance company will pay the remaining $4500 to cover the $5000 of damage. Claims and Deductibles – Should I File an Insurance Claim? If you get into an at-fault fender bender and have $550 worth of damage to your vehicle and your deductible is $500, is it really worth filing an insurance claim to have your insurance provider cover the additional $50? Here’s another example - If you have a home insurance claim of $8000 and your insurance deductible is $1000, your insurance provider will pay $7000 and you will have to pay $1000 of the total cost of the repair. Deductibles are set for each policy, so you will want to check with your insurance broker about the deductible on your policy. Remember, when you file a claim – regardless of how much – you are responsible for paying the deductible. Considering the fact that filing a claim could increase your insurance rates upon renewal, you are better off paying for the damage yourself. What is the deductible for car insurance? It is actually the same as deductibles for other forms of insurance. It is the amount you will pay out of pocket if you file an auto insurance claim. However, there are some nuances for auto insurance deductibles that make them unique. For example, car insurance policies have separate deductibles for collision and comprehensive coverage. There are also a number of types of car insurance deductibles. Pay Full Deductible : You pay the full deductible when you are 100% at fault. Pay Partial Deductible : You pay a partial deductible when you are only partially at fault. So if you are 50% at fault, you pay 50% of the deductible. When making a comprehensive insurance claim, you always pay the full deductible. Comprehensive covers claims where your vehicle has been damaged while parked. Your deductible is one of the factors that influences your costs for comprehensive and collision insurance. Generally speaking, the higher your deductible, the lower your costs for this type of insurance. Make sure you check with your insurance broker to confirm the types of hazards your specific policy covers. Do Higher or Lower Deductibles Impact Your Car Insurance Costs? Insurance companies use deductibles as a way of keeping down the cost of car insurance. Car insurance deductibles definitely impact your car insurance rates – as do other factors. Generally speaking, the higher your auto insurance deductible, the lower your monthly or annual insurance premium will be. What Is the Average Car Insurance Deductible? Most people have a $500 car insurance deductible. In Ontario, the standard deductible offered by insurance companies is $500 for collision coverage and $300 for comprehensive coverage. But this doesn’t mean it is right for you. Should You Choose $500 Or $1000 For Car Insurance Deductibles? It all depends on your confidence in your driving abilities and financial situation. If you increase to a $1000 deductible, you will save on your insurance rates, but you will have to pay that amount out of pocket if you file a claim. 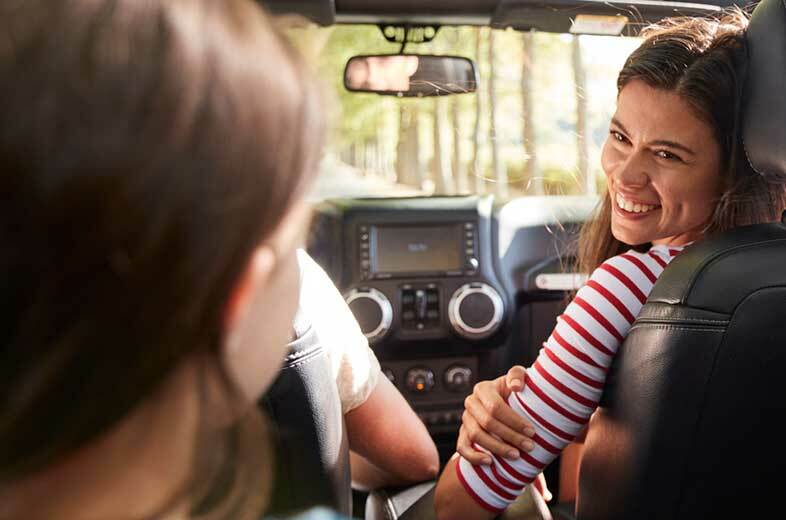 The number one rule when choosing an auto insurance deductible is to choose an amount that you will be comfortable with and can afford to pay. What Happens When A Car Insurance Deductible Is Lowered? What happens to an insurance premium when a deductible is lowered? Good question! When you lower your car insurance deductible, or any deductible for any type of insurance coverage, you risk seeing your insurance rates increase. The one benefit to lowering your deductible is you will pay less out of pocket when you file a claim. Car Insurance Deductible – Not At Fault : You will likely not be required to pay your deductible if you are found to be of no fault for causing the accident. Car Insurance Deductible – At Fault : If you are found to be 100% at fault, you will be required to pay your deductible in full. Car Insurance Deductible – Partially At Fault : If you are found to be partially at fault, you could be required to pay your full deductible or part of the deductible, depending on your insurance company’s claims policy. 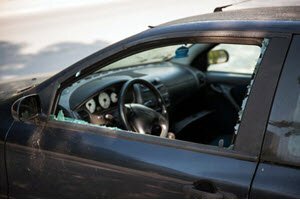 Vehicle Is Vandalized Or Stolen : Even though the loss is covered by your policy, you will be required to pay the deductible for the claim. Liability Claims : Liability coverage claims do not require you to pay a deductible when filing a claim. What Happens If You Have No Deductible? Some car insurance companies offer a zero deductible policy. Under some circumstances, you may be able to waive your deductible when making a claim. However, these plans have higher insurance premiums, and you may need to meet certain criteria to qualify. If you’re not sure about your car insurance deductibles, review your policy with your insurance broker. If you have any questions about car insurance coverage, call us toll-free at 1-855-550-5515. How Does a Deductible Work with Home Insurance? What does a deductible mean in home insurance? A homeowner’s insurance deductible works in virtually the same way as with other forms of insurance. The main difference is there may be a number of deductibles for different amounts for specific types of home insurance coverage. In most cases of loss or damage to your property, your general policy deductible will apply when making a claim. This applies to claims for personal property, loss of use of your dwelling, damage to your building, and more. However, your policy may include a number of additional deductibles for specific causes of loss. These additional coverages commonly have a higher deductible. There are also a number of types of home insurance coverage where no deductible applies. However, there are coverage limits, and if your claim exceeds your coverage limit, you will have to pay the balance out of pocket. 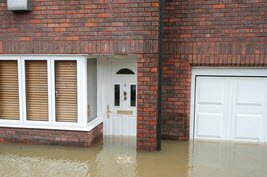 Overland Flood Insurance - Are You Protected Against Basement Flooding? How Does A Deductible Work For Renters Insurance? A deductible for renters or condo insurance works in the same way that it does for home insurance. Renters typically choose a lower deductible amount to lower their out of pocket payment amount if they need to file a claim. What Is the Average Home Insurance Deductible? A typical deductible for home insurance is $1000, although many homeowners opt for a higher $2000 deductible. This includes condo owners. For renters, they commonly have $500 deductibles. Does this mean it’s the best deductible for home insurance? Not necessarily. You may be able to increase or decrease your home insurance deductible to set it at a number that is advantageous to you – either paying less out of pocket or saving annually on your home insurance premium. This is a common question we receive, and there is some confusion between insurance deductibles and tax deductibles (something you are able to deduct from taxable income when preparing your yearly taxes). In most cases, home insurance is not a tax deduction. 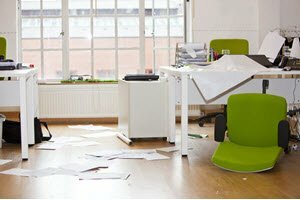 If you operate a business out of your home, or you are a landlord and own rental property, you may be able to deduct a portion of your property insurance. Why Is My Home Insurance Deductible Increasing? When it comes time to renew your home insurance policy, you may notice that your home insurance deductible has increased. Why is this the case? It’s most likely a result of filing too many claims. Those small claims here and there can add up and have an impact on your home insurance. If you find yourself in this situation, it’s important to compare home insurance quotes to make sure you get the coverage, and deductible, that meets your current needs. Also referred to as a medical insurance deductible, health deductibles have become increasingly common. A medical insurance deductible is the amount of health care expenses a policyholder must pay out of pocket prior to being reimbursed on approved expenses that go above the deductible amount. Health insurance deductibles commonly have family limits on approved medical expenses. 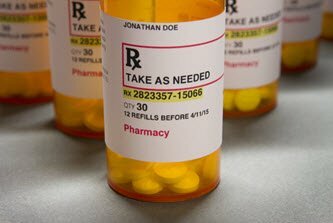 Per Prescription Deductible : You pay the deductible each time a prescription drug is purchased. For example, if your deductible is $20, you would pay this amount each time you purchased prescription drugs, with the remaining balance of the cost covered by your health insurance provider. Annual Deductible : Also called a calendar year deductible, you must meet your deductible amount on a yearly basis for each calendar year. Co-insurance is a form of insurance coverage where the policyholder pays a percentage of the payment made when filing a health claim. Coinsurance is defined as the percentage of eligible expenses above the deductible that is eligible for reimbursement under the plan. The coinsurance percentage of a typical Canadian drug plan is in the 80% to 100% range. Typically, health plans have different coinsurance based on each benefit within the health plan (such as $100% coverage for hospital and out-of-country, and 80% on all other health benefits). Some health plans use a split level of coinsurance covering, for example, 80% until a certain out of pocket limit is reached, and then paying 100% of all eligible expenses. Health Deductibles : A fixed amount you pay out of pocket prior to insurance covering the remaining medical expenses or treatment. Copay : Short for copayment, this is similar to a deductible and commonly a fixed amount, however, you pay it each time you use your health insurance plan. They are smaller amounts that you pay each visit/use. Coinsurance : This is a percentage of the cost you and your insurance pay towards approved medical expenses. Common coinsurance coverage breakdowns include 100%, 80/20, 90/10 and 50/50. Many health insurance plans have a combination of these payment and coverage methods. What is and is not included in your health insurance plan will vary based on your coverage level and your health insurance provider. How Do Commercial Insurance Deductibles Work? Commercial insurance deductibles work the same as car and home insurance deductibles with the exception that they are customized and tailored specifically for business insurance solutions. “Deductibles ensure that insurance does what it is intended to do – pay for substantial losses, not minor ones. Essentially, the deductible is the amount for which you are self-insured. Deductibles help to keep premiums low. The higher the deductible you select, the lower your annual insurance premiums will be,” says IBC. What Is The Right Deductible For Business Insurance? All businesses are uniquely different, and choosing the right deductible for your business insurance coverage is important. 1. Look at the premium levels for various deductible options. The money you save on the premium by raising the deductible may or may not be worth it. 2. Consider talking with a risk management consultant to determine optimal deductible levels. Cash Flow : Is cash flow important? Do you want a lower fixed monthly insurance premium? Saving : Is saving money on insurance important to you? Risks : How much risk are you willing to take on? High Risk Business : Is your business considered to be high risk? What is the likelihood you will file a claim? Coverage Needs : Which types of insurance coverage do you need? What are the deductibles for this additional coverage? Remember, if you choose a higher deductible, you will have a lower premium and save money. However, you are exposed to great risk and costs if you have to file a claim and pay a higher deductible. Talk to your broker about the right insurance coverage and deductible amount for your business. Contact a ThinkInsure business insurance broker today toll-free at 1-855-550-5515.